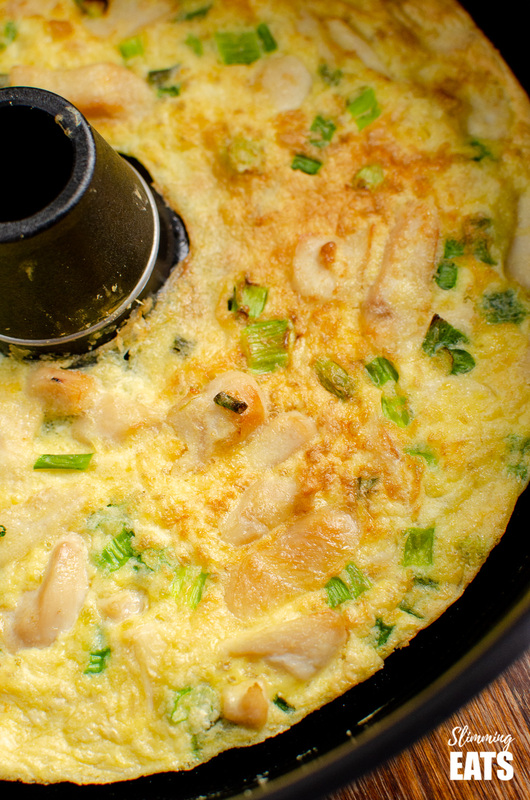 A delicious Thai Chicken Omelette cooked effortlessly in the Actifry in minutes. 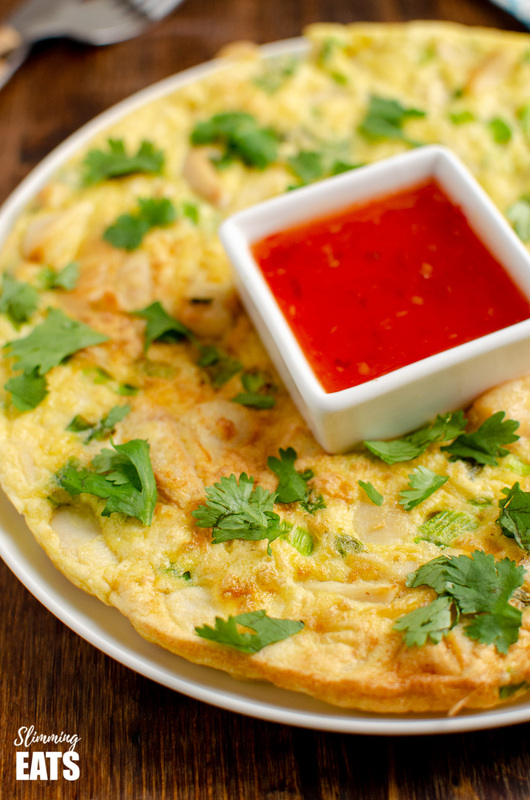 Thai Omelettes are my favourite, a popular street food. 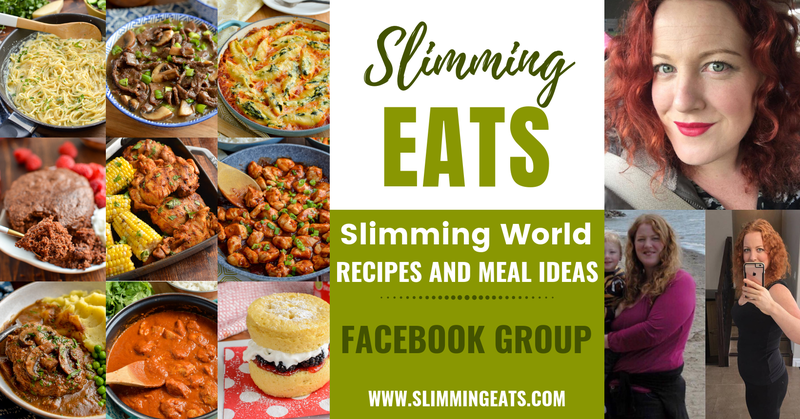 They are generally crispy on the outside and fluffy on the inside, but very hard to make Slimming World friendly. 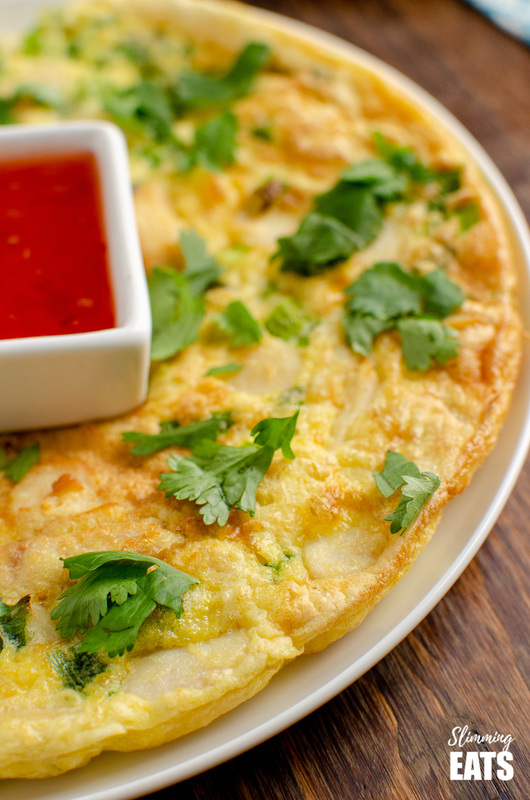 Traditionally Thai Omelettes are eggs combined with starch, lime juice and some fish sauce for that amazing Umami flavour. Poured into a sizzling hot pan with lots of oil so that it puffs up as it cooks. A delicious protein packed meal – They are packed with flavour and a food I regularly get cravings for. So I just had to come up with a low synned version that I could enjoy without the guilt of all those syns. I figured my Tefal Actifry would work perfectly for skipping out on all of that oil and it totally worked!! 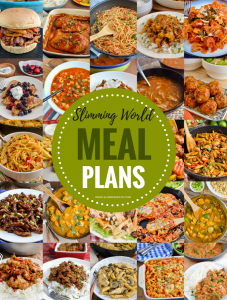 For most, the Tefal Actifry is used for making syn free golden chips or similar, but there really are so many other amazing things that you can make in it. 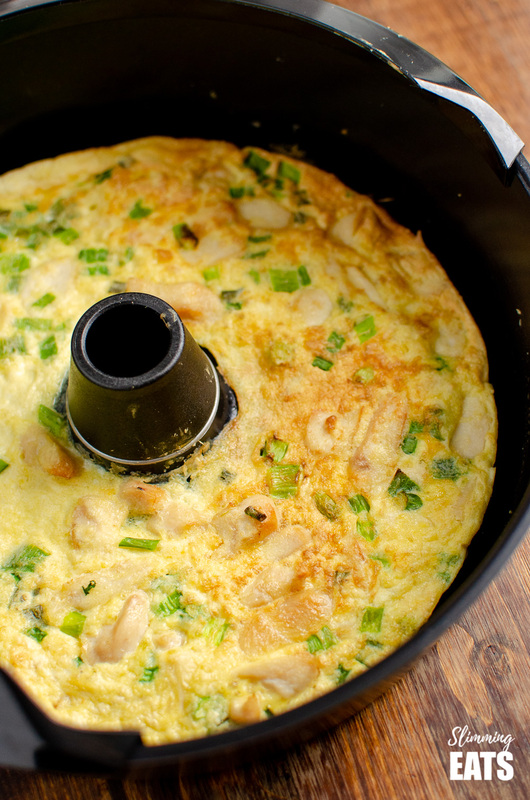 I own the newer Tefal Actifry Genius model as pictured below, but any model of the Tefal Actifry will work for this Thai Chicken Omelette. 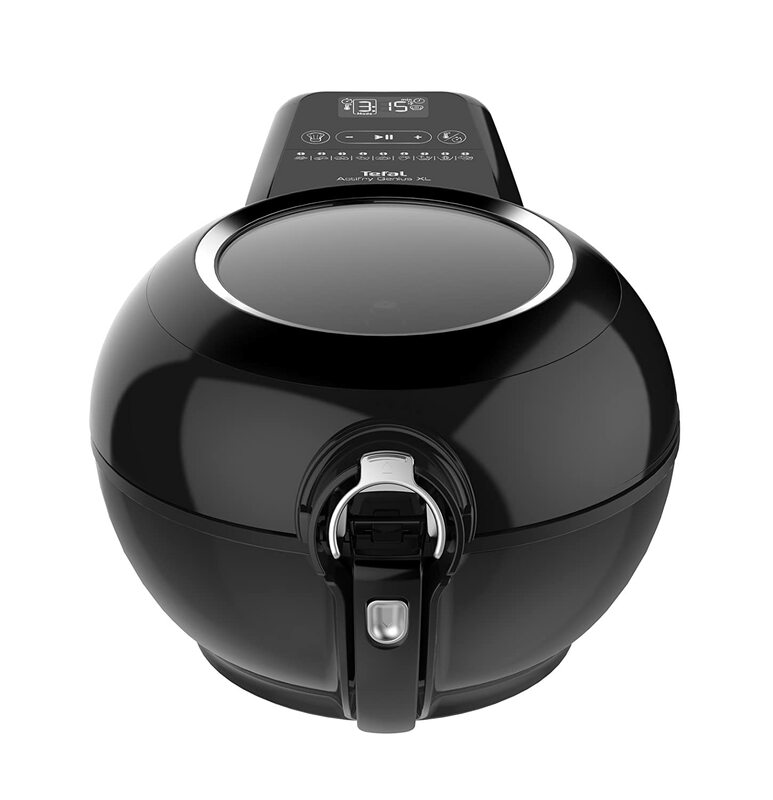 It’s perfect for foods you want to get crispy without using huge amounts of oil. 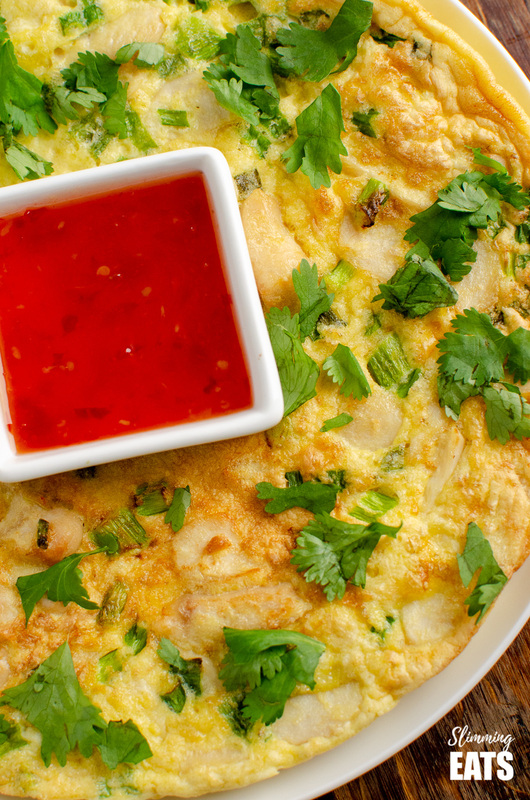 Usually, when enjoying a Thai Omelette, I go meat-free with just some added spring onions. But with some shredded cooked chicken to use up, I figured the additional protein would be filling and delicious. It was a great sharing lunch for me and my daughter. Once served up, I sliced like a pizza with the sweet chilli sauce in the middle for dipping. So good!! 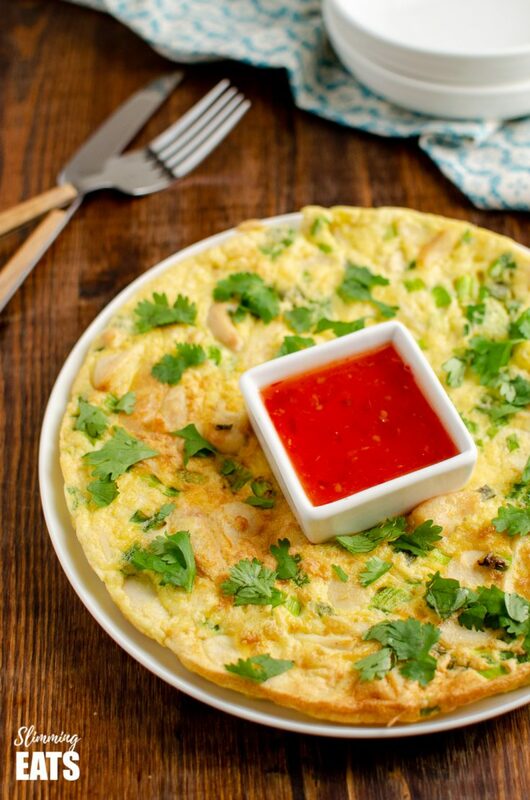 How can I add a 1/3 speed foods to this Thai Chicken Omelette? Add the eggs, starch, fish sauce and lime juice to a bowl and whisk until well combined. Add in the cooked chicken and spring onions and stir to mix evenly. Add oil of choice to the Actifry and turn on for 3 minutes to heat the oil. Once heated, remove paddle and pour in all the egg mixture. Whole30/Paleo - use a sugar free fish sauce and omit sweet chilli sauce.